At the time of their membership application and during periodic monitoring, ASACP Member sites have complied with the ASACP Code of Ethics . Therefore, they are approved to display the ASACP Member logo on their site. In addition ASACP, in conjunction with Industry leaders, has developed these recommended Best Practices and is pleased to share them with you for use as a basis for your own procedures. ASACP makes no claim that these Best Practices will meet legal standards and we recommend that you consult with an attorney. Make a good faith effort to comply with the current laws and standard of recordkeeping of the US Government. Include statement that "All models were 18 and over at the time of the creation of such depictions" in a prominent position on the following pages: warning, home, splash, join and any other access page. If the models look young, include the above age disclaimer on all pages. Review sites that direct traffic to your site, to determine whether they use ASACP Unacceptable Terms . Label your website as "adult" using an established labeling system such as ASACP's RTA "Restricted to Adults" Website Label or other meta data recognizable by filtering software, browsers, etc. Label all e-marketing material with "Sexually Explicit". Adult chat bots should be used in adult-only chat areas where individuals are required to confirm their age before entering the chat. The first question the chat bot should ask is the age of the individual the chat bot is interacting with. If the answer is under 18 the chat bot should discontinue the chat session and not respond further. The chat bot cannot use ASACP Unacceptable Terms . Make a good faith effort to comply with the current laws and standard of recordkeeping of your Government. Include, on your mobile website's home/index page, a notice that the contents of the site are for adults only. Also include all disclaimers, age verification, etc., and if your site has a warning page exclude explicit images on this page to prevent children from unknowingly viewing adult material. Label all pages that sell mobile adult applications using an established labeling system such as ASACP's RTA "Restricted to Adults" Website Label or other meta data recognizable by filtering software, browsers, etc. Label all sexually explicit "social media content postings", including but not limited to text, video, audio, images or widgets enabling any software functionality. All social media content postings should indicate "Age-Restricted" or "Sexually Explicit" based on the content. When you direct people to age-restricted content or commerce on or from online social networks & mobile devices, ensure that all of your social media and mobile pages, from blogs, ads, and ecommerce tools, to videos, fan pages, apps and widgets are labeled with the Restricted to Adults - RTA website label (http://www.rtalabel.org). As a result if parents or guardians have activated one of the many parental filters including those in the Apple and Microsoft operating systems, minors will be blocked from access to and prevented from the ability to purchase age-restricted material and products. If you direct people to your site from Twitter, Facebook or other online social networks, ensure that all of your adult content pages are labeled with the Restricted to Adults - RTA website label (http://www.rtalabel.org). This way parental filters will be able to block access to your adult content and prevent children from being exposed to age inappropriate material. Label all social networking messages with "Sexually Explicit"
Where applicable, follow ASACP's Best Practices for Adult Sites. For ASACP membership requirements for Adult Dating Sites, go HERE. Visually review all client sites including member areas prior to accepting as a client to insure acceptable content. Verify Webmaster and surfer support email addresses. Recheck upon redeposit of money. Block ASACP Unacceptable Terms during search and bidding, and redirect to an anti-child exploitation organization such as ASACP.org or NCMEC.org. 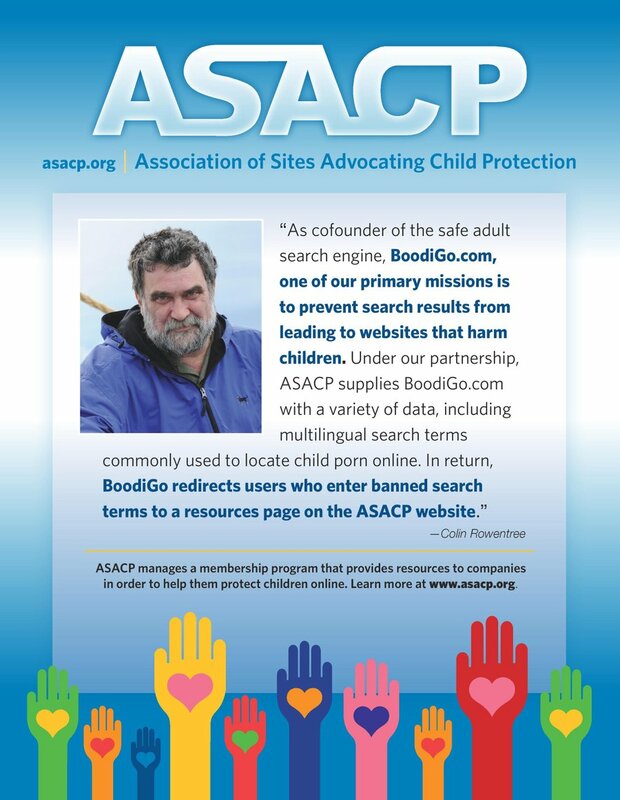 Recommend that your clients follow ASACP's Best Practices for Adult Sites. Visually review all client sites including member areas prior to accepting as a client to insure acceptable content and clear disclosure of terms. Verify Webmaster and surfer support email addresses. Clearly disclose the descriptor to appear on the customers billing statement. have a statement that "All models were 18 and over at the time of the creation of such depictions" on the warning, home, splash, join and any access pages of their site. conspicuously list in a non password protected area a valid contact email address for the Webmaster. clearly disclose that the membership will be billed by "Billing Company Name". label their websites as "adult" using an established labeling system such as ASACP's RTA "Restricted to Adults" Website Label or other meta data recognizable by filtering software, browsers, etc. Comply with relevant sections of ASACP Code of Ethics . Include, on your website's home/index page, a notice that the contents of the site are for adults only. Also include all disclaimers, age verification, etc., and exclude images to prevent children from unknowingly viewing adult material. Avoid automatic submissions; all submissions and galleries should be verified by a human being. Visually review all pay sites promoting through posted galleries. Prohibit domain names that promote under-aged content. Provide "Report Abuse of TOS" capability. Where applicable, follow ASACP's Best Practices for Adult Sites. For ASACP membership requirements for User Generated Content Sites, go HERE. If you have additional questions or suggestions, please contact the membership asacp.org.